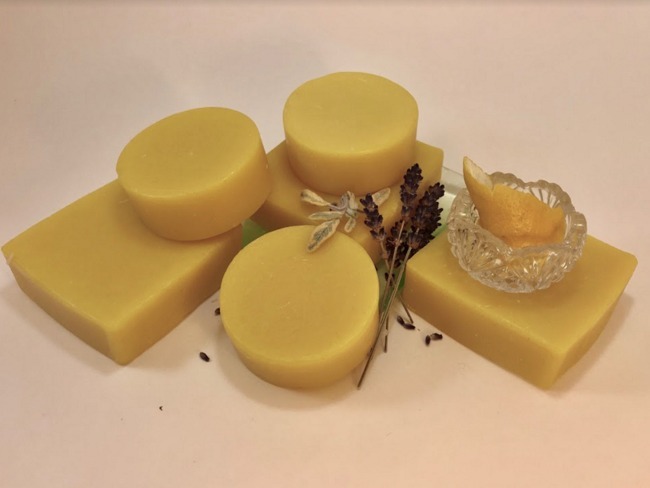 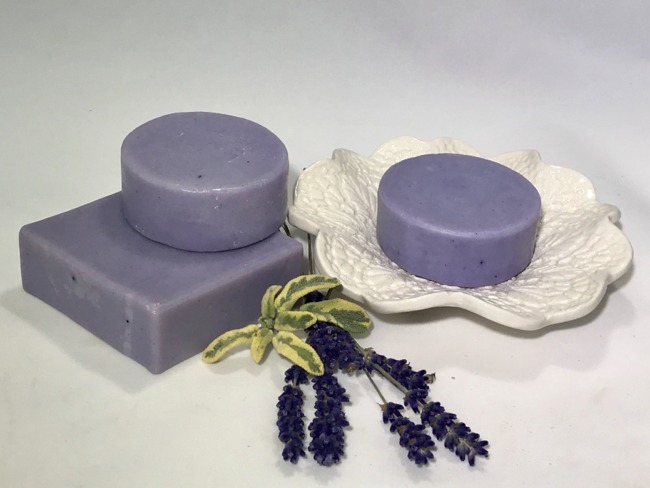 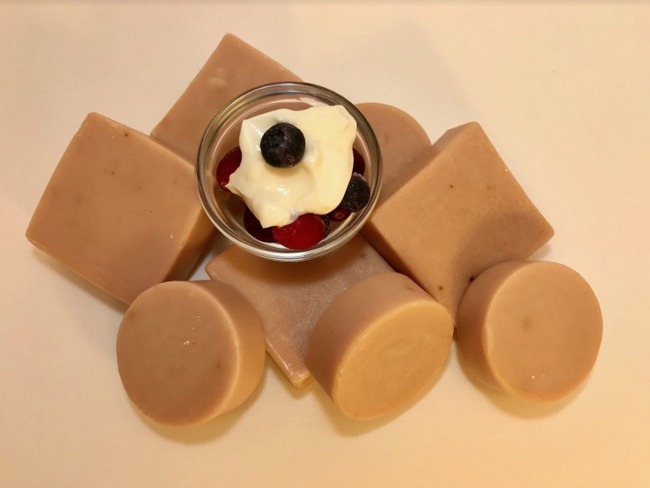 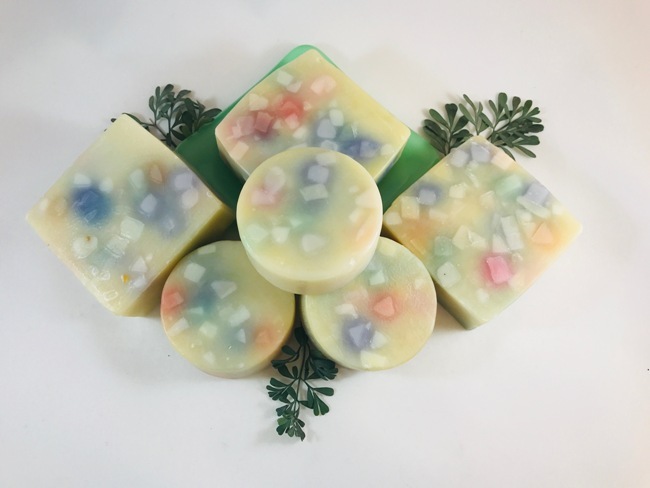 My soaps are meant to add a little joy to daily experiences, whether washing hands, relaxing in a bath or taking a shower. 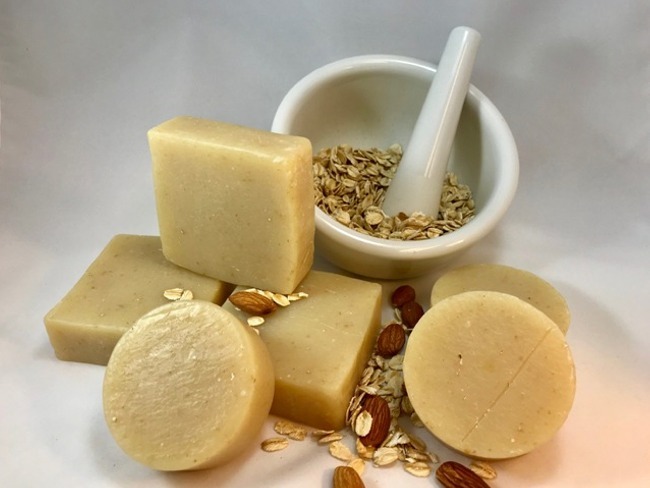 The oils, scents and emollients are all fine, high quality natural ingredients that, through the chemistry of saponification, combine to cleanse, nourish and respect your skin. 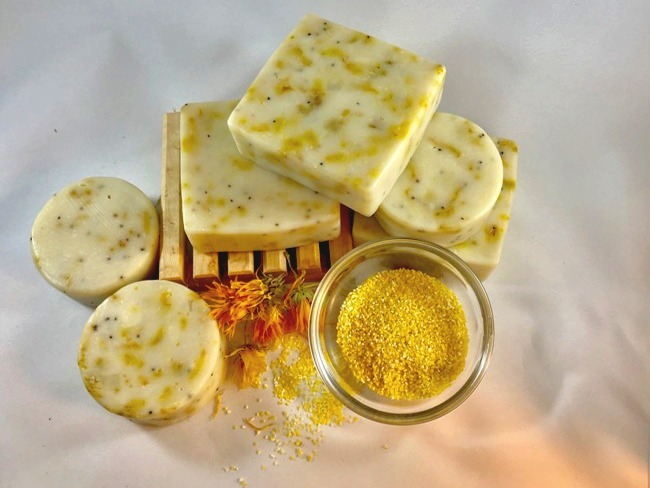 Each recipe is meant to be a whole experience where the fragrance, color and feel delight you. 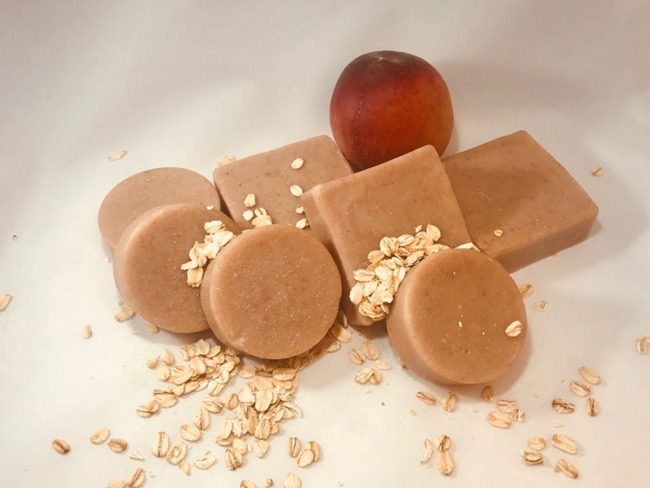 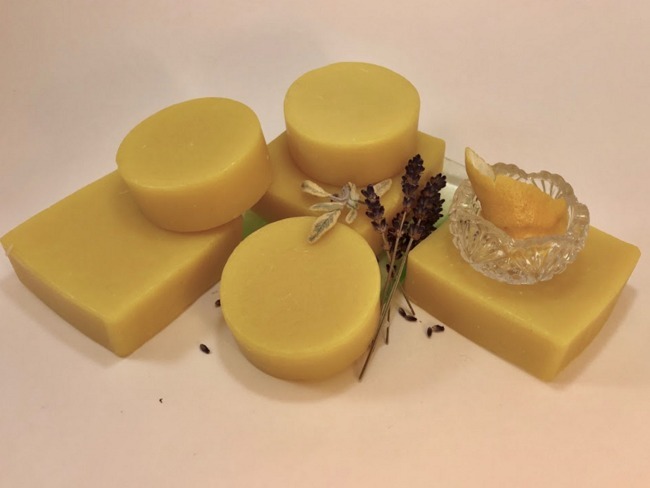 Shouldn't an almond and oatmeal soap smell sunny? 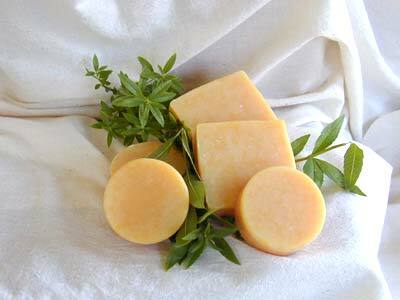 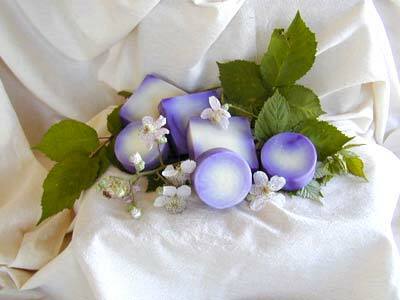 And a gardener's soap contain flower petals and essential oils to relax sore muscles? 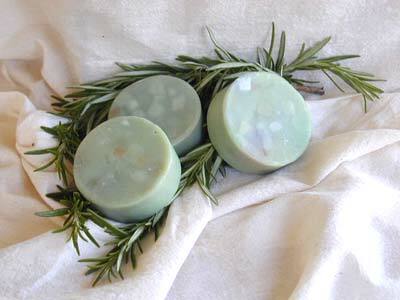 Please browse through my offerings, and find some soaps to wash the body, and remember some laughter to rinse the soul.